The book “Geraldine’s Big Snow” is swirling around in my brain today. I used to read it to the kids over and over and over again. They always wanted to hear about Geraldine and her impending snow storm. Today was the wait for another RVA snow storm. 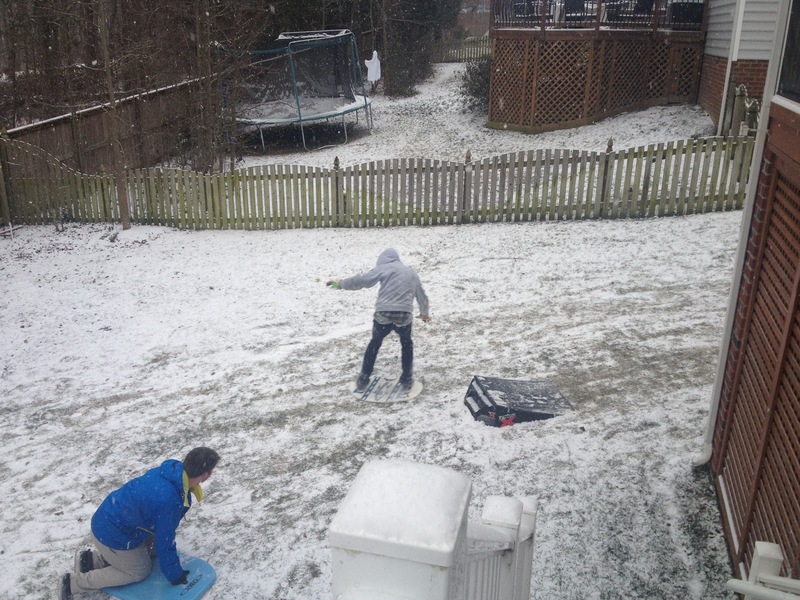 And today the snow storm actually happened. I didn’t think it actually would. I thought it would blow by us. But luckily for the kids I was wrong. When it did come, a line from the book kept playing through my head… “And then in the night it came. Softly and quietly.” Only this snow didn’t wait until night time. This one came in the day. And this snow didn’t come softly or quietly. This snow is loud and showy. But I’m happy to say it snowed. The kids are having a blast riding up and down the street on skim boards. 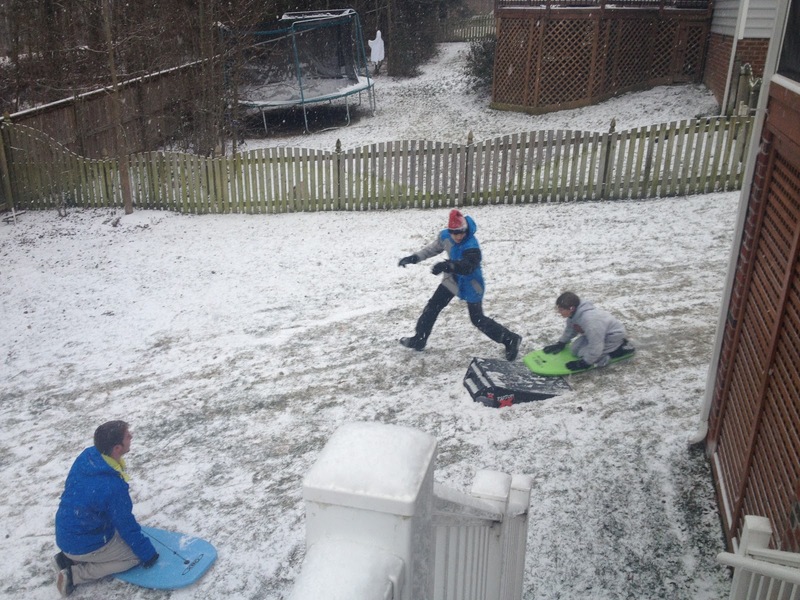 They are sledding up and down the hill beside our house. I have a house full of kids drinking hot cocoa. 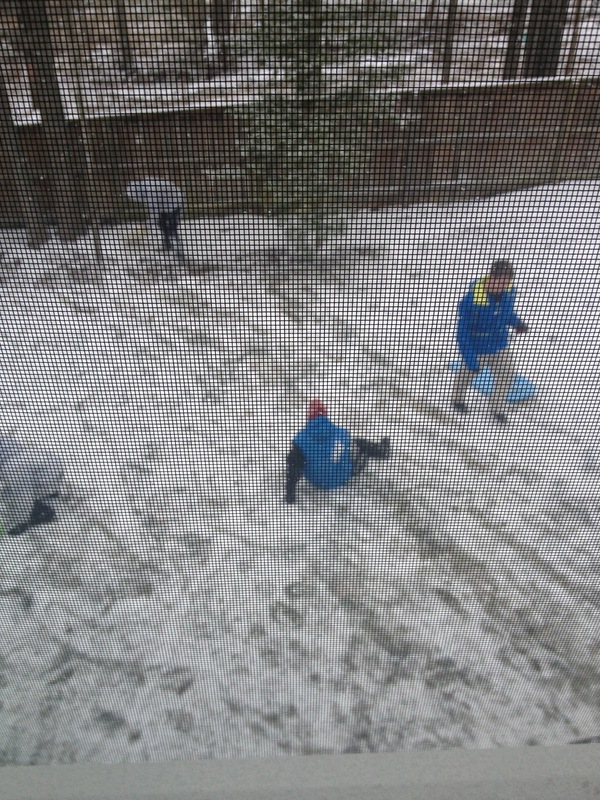 I have a yard full of boys tearing up the pristine snow. 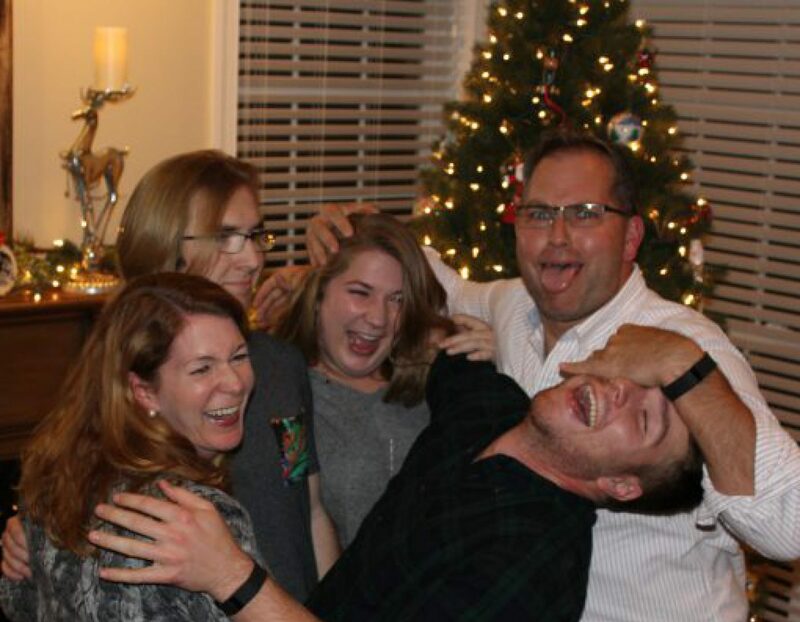 All of my kiddos are here, in my house. And I’m thankful. I know where they are. The boys aren’t off trying to figure out how to drive in the snow. They aren’t off trying to be daredevils. They are here. And I’m more than thankful. The snow may not have come in the night, like it did in “Geraldine’s Big Snow.” It may not be soft and quiet around here, like it was in the book. 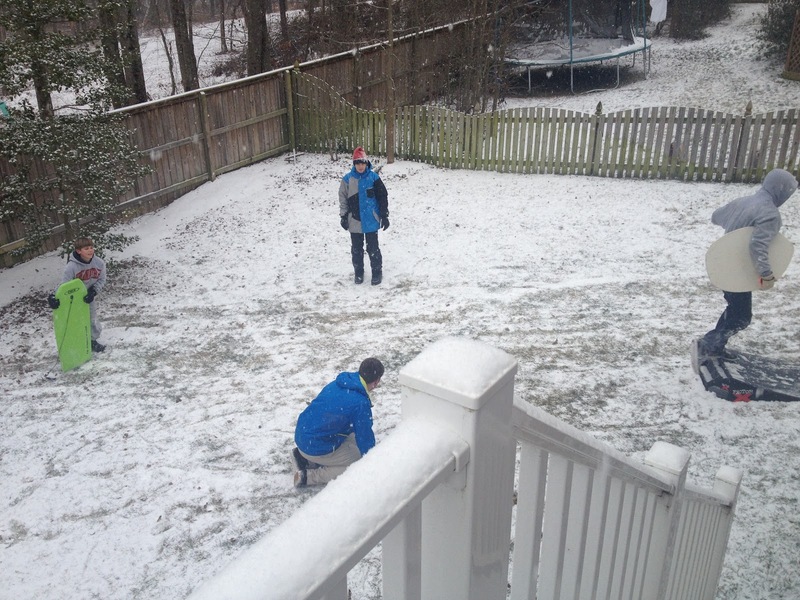 But the snow did fall…for the love of my children….